Just recently, Andy has returned home from a 2 week trip to the USA where he got to sing and share his lifes story at a number of churches in the state of Tennessee. 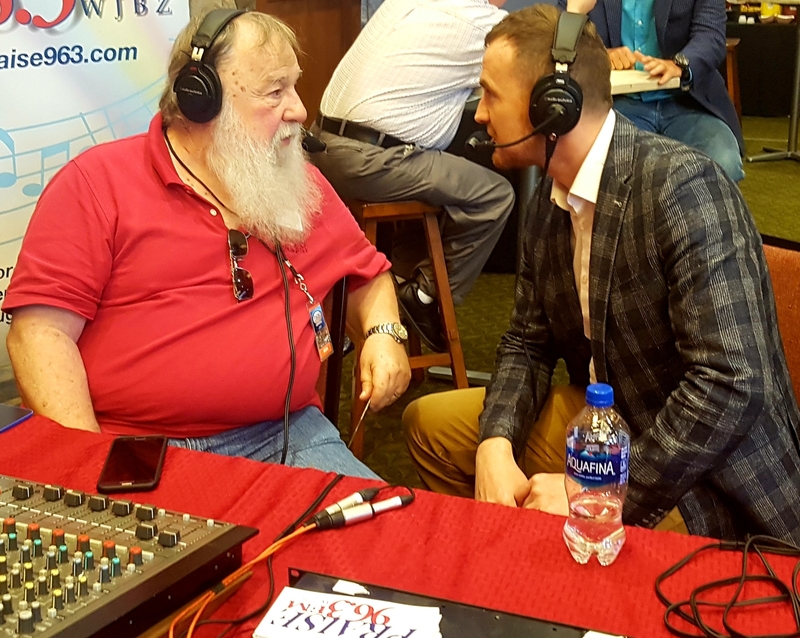 As well as making new friends and renewing old friendships, Andy had the opportunity to spread his new music and story at several radio show engagements at the National Quartet convention in Pigeon Forge TN. The 2nd half of his trip involved travelling to Nashville to attend an NCS (Nashville Christian Songwriting) Intensive by John Chisum. There he met with many other songwriters & industry professionals for an intensive workshop which lasted several days. 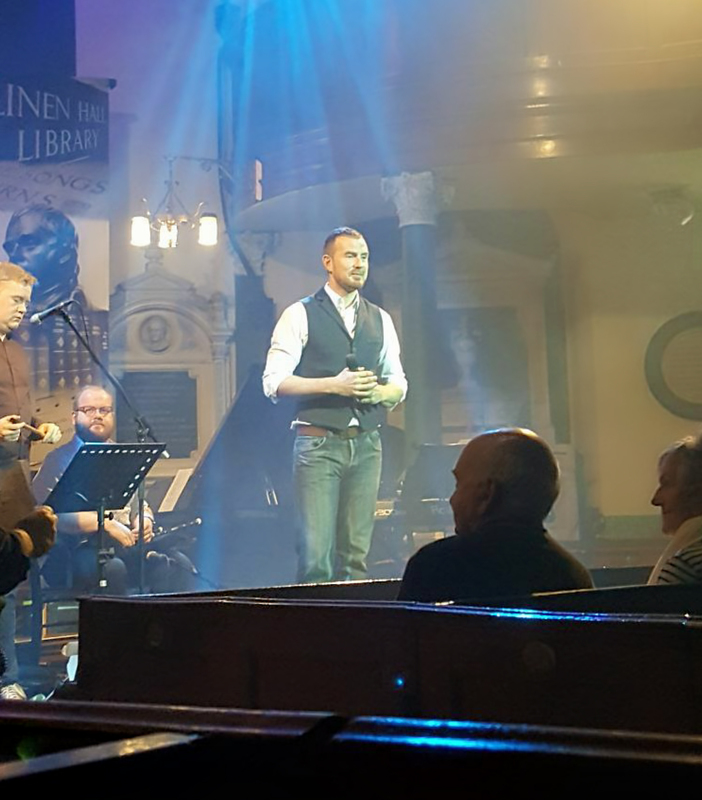 Toward the end of 2017 Andy was invited to take part in a "Burns Night Special" Live recording for a BBC Northern Ireland programme. The night featured a number of top class singers and musicians from Northern Ireland, Scotland and USA. The famous Scotch poet Robert Burns had written many songs when he lived during the late 1700's which are still highly popular today in the traditional/folk music genre. Not knowing the songs at the start, Andy had the challenge of learning some traditional scottish lyrics. Burns' lyrics were usually written in an original scotch style that would still be understood by some today in Northern Ireland due to their Ulster-Scotch-Irish heritage which stems as far back as the "Ulster Plantation" days of the 1600's. The programme will be airing on Burns night 25 January 2018. The brand new single "House of Gold" has just been released on TuneCore and has been sent to all major online stores including iTunes and Spotify ready for streaming or downloading. This is a high energy driven version of Hank Williams popular gospel song which he wrote in 1954. 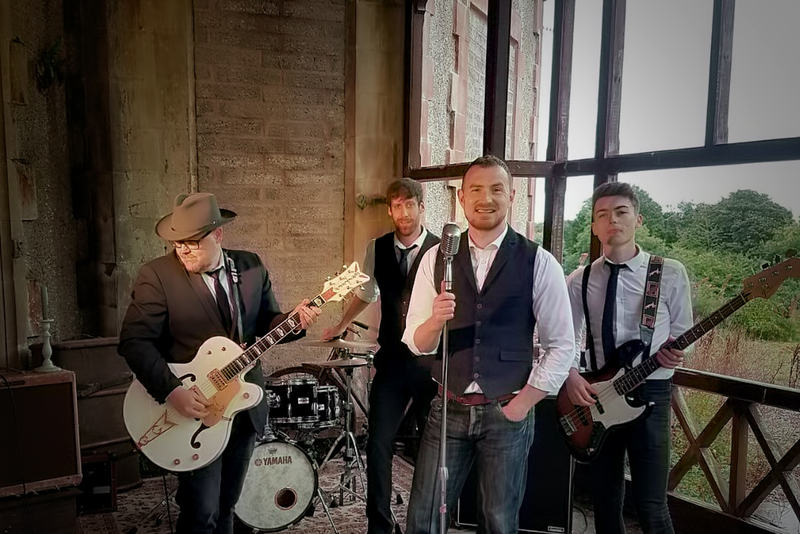 An exciting new Music video of Andy's single "House of Gold" filmed in a once grand mansion built in the 1870's in Northern Ireland has just been released online. You can view this on Facebook or on Youtube. It has been generating a lot of interest in many different countries. So far it has been shared over 500 times in a matter of days with over 50,000 views and still going! 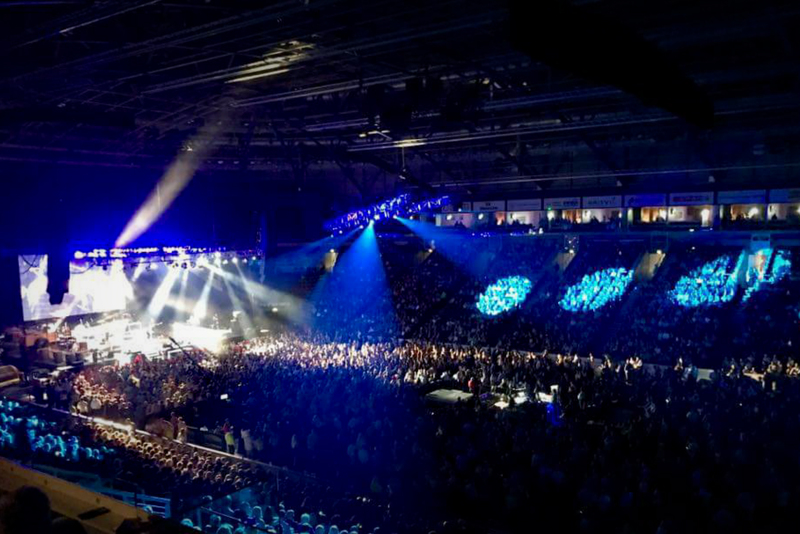 Andy sang his new single just recently in October 2017 to a packed out SSE Odyessy Arena in Belfast which was Ireland's largest indoor country music event. 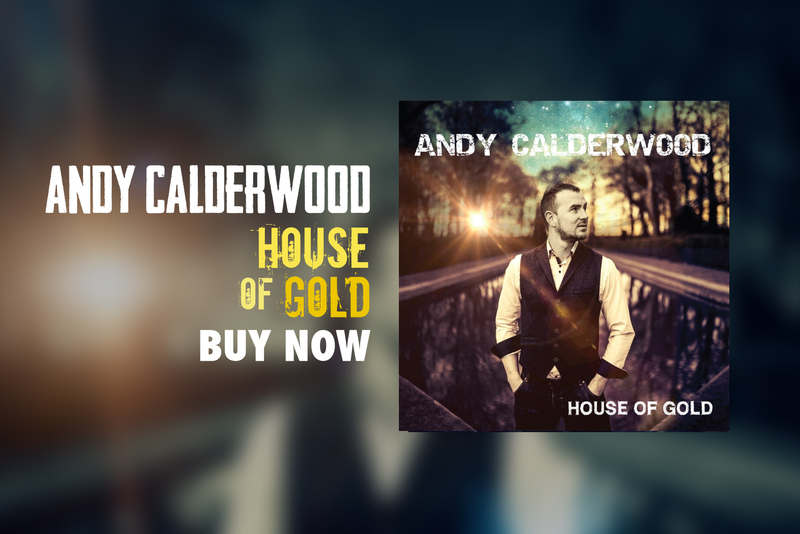 It was a great opportunity for Andy to showcase one of the new songs from his highly anticipated E.P also entitled "House of Gold" releasing at the end of October on iTunes and Spotify. He also had an opportunity to be interviewed by a local TV station and by one of the countries largest newspapers.